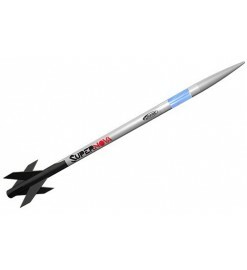 Multi-stage rockets for 18 mm motors of any brand, classes A, B, C and D.
For 18 mm motors There are 8 products. Three stages for maximum enjoyment and maximum altitude! 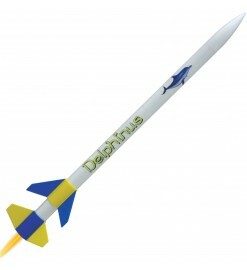 Two-stage rocket of high performance, capable of reaching incredible altitudes! 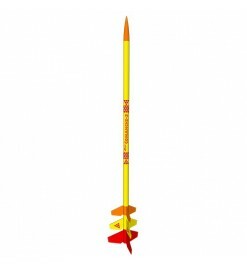 The Mongoose is a two stage rocket, easy to assemble and using standard engines (A, B, C). 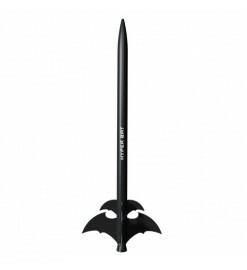 A great 2-stage rocket kit sporting cool looking balsa "bat" wings. The Hyper Bat flies on standard 18 mm engines and it is recovered by a 30 cm plastic parachute. 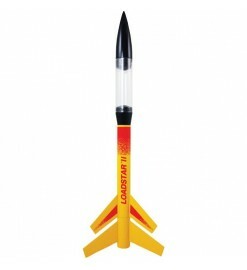 Two stage model rocket with transparent payload compartment, for B and C motors. Two-stage model rocket to be assembled, for A, B and C motors. 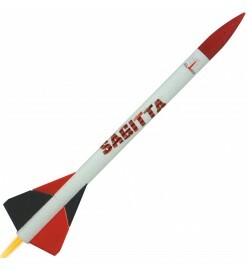 Two stage rocket with a large, clear plastic payload section.